Say CHEESE! 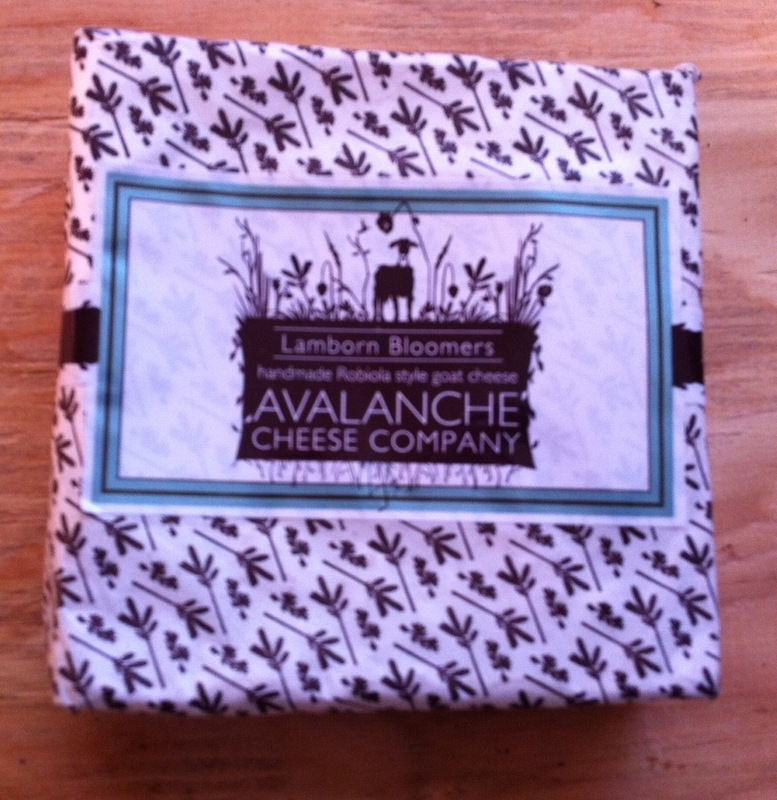 Avalanche Cheese Company – That's Natural! On a jaunt down to the wonderful food co-op in Carbondale, I was pretty excited to find another local company making high-quliaty, local cheeses. The Avalanche Cheese Company, situated in Paonia, has a fabulous line-up of fine, all-natural artisan cheeses. “▪ Chevre– A mild, creamy, fresh goat milk cheese. ▪ Garlic and Basil Chevre Spread – Fresh Chevre mixed with organic basil, garlic and a dash of red pepper flakes. ▪ Truffled Honey and Lemon Chevre Spread – Fresh Chevre scented with a hint of white truffle oil and mixed with local, organic honey and lemon zest. ▪ Lamborn Bloomers – Soft-ripened Robiola style cheese, aged just over a month, with a silky, well-balanced interior wrapped in a beautiful white-molded rind. While most Robiolas are a blend of milks, this cheese is all goat. ▪ Goat Cheddar – Hand bandaged and aged for six or twelve months,this cheese is made in the style of the traditional British cheddars with goats’ milk. ▪ Midnight Blue– Beautiful blue-gray veins run wild in this well-balanced, raw milk, goat blue cheese aged for two to four months. I picked up the “Lamborn Bloomers” cheese, which is different for me because I wasn’t sure what I was getting into, and was pleasantly surprised to taste and enjoy a very creamy, delicious cheese – perfect for spreading on all-natural crackers, or even as an addition in a supreme grilled cheese sandwich. When I purchased that package of cheese, my money is going directly to that retailer – whose owners and members are in my community, as well as the farmer and producer who actually made the product with their own land and their very own hands. These are real people who we support when we buy local – and it is not only an honor to be able to purchase these cheeses and engage in being a real part of supporting my local food economy – it is also a healthier product and better for the environment because of minimal shipping and packaging. Support YOUR local farmer, and check out this wonderful cheese company we have right here in the Roaring Fork Valley. Mmm, I think I would like that blue.